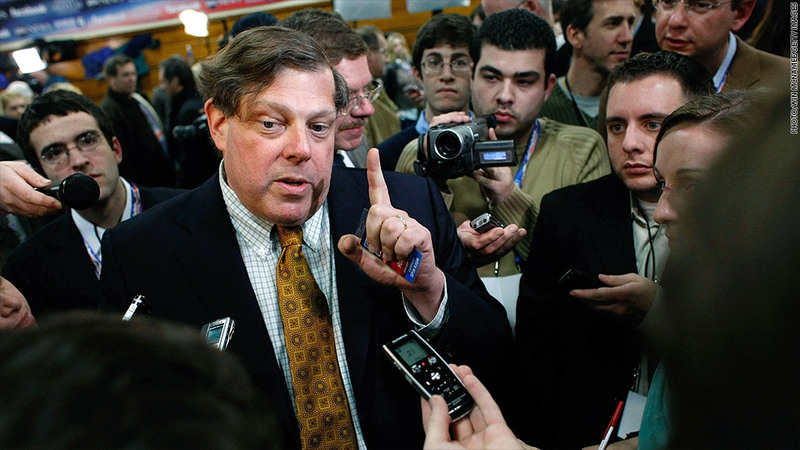 Mark Penn, a former Clinton adviser, will take over as head of Microsoft's strategy. Mark Penn, the architect of Hillary Clinton's presidential run in 2008, is taking over as head of strategy at Microsoft. New Microsoft (MSFT) CEO Satya Nadella wants to streamline oversight of the software giant's strategy, according to a source who was briefed on the plans but not authorized to discuss them publicly. Penn had been leading Microsoft's advertising and marketing strategy, but he split the overall strategy duties with two other executives. But those two individuals -- Tony Bates and Tami Reller -- are now planning to leave Microsoft, the company said in a blog post. A spokesman from Microsoft declined to comment. Penn has a wealth of political experience. In addition to working with Hillary Clinton and former President Bill Clinton, he has worked with former British Prime Minister Tony Blair and the late Israeli Prime Minister Menachem Begin. He has also run the public relations firm Burson-Marsteller and advised Microsoft founder Bill Gates. Penn's marketing campaigns for Microsoft since joining the firm in 2012 have a mixed record. This year's Super Bowl ad showing how Microsoft technology helps people with disabilities was well-received. But the "Scroogled' campaign that attacked Google (GOOG) has been widely derided as petty. With Penn being promoted, the departures of Bates and Reller are not all that surprising. Both were rumored to have been passed over for bigger roles at Microsoft. Bates, who was the CEO of Skype when Microsoft bought it in 2011, was widely believed to be one of the leading contenders to become Microsoft CEO after Steve Ballmer announced his retirement last year. Many experts had wondered if he would stay at the company now that Nadella was chosen over him. Reller had been at Microsoft since 2001, switching roles between marketing and finance operations in the company's Windows division. She was widely believed to be a candidate for Microsoft's chief financial officer last year -- a job that ultimately went to Amy Hood.